Today I have something fun to share with you. I've been working on this for a couple of weeks and it finally came together this morning. 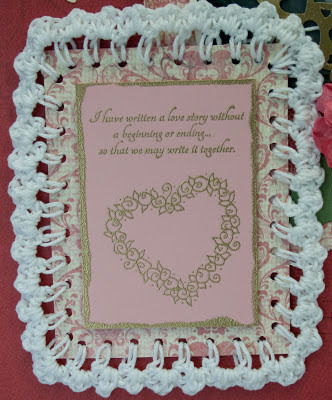 I saw the crocheting on cards on Pinterest (just gotta love it!) and was playing around with it. 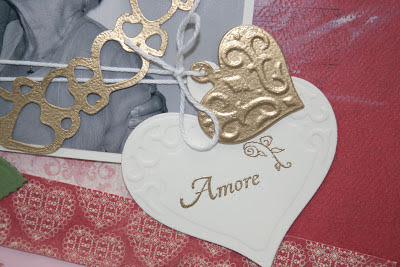 This new stamp set Amore from Sparkle n Sprinkle was sitting on my desk so I made an ATC card with it and embossed with Gold Detail, then sponged the edges and embossed those as well. 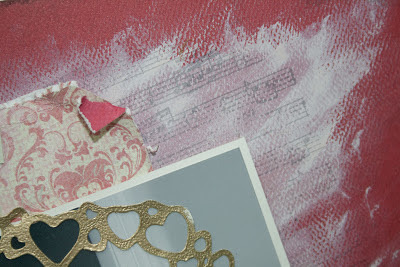 Then I mounted it on some Authentique Paper and used my Crop-a-Dile to punch holes around the border. 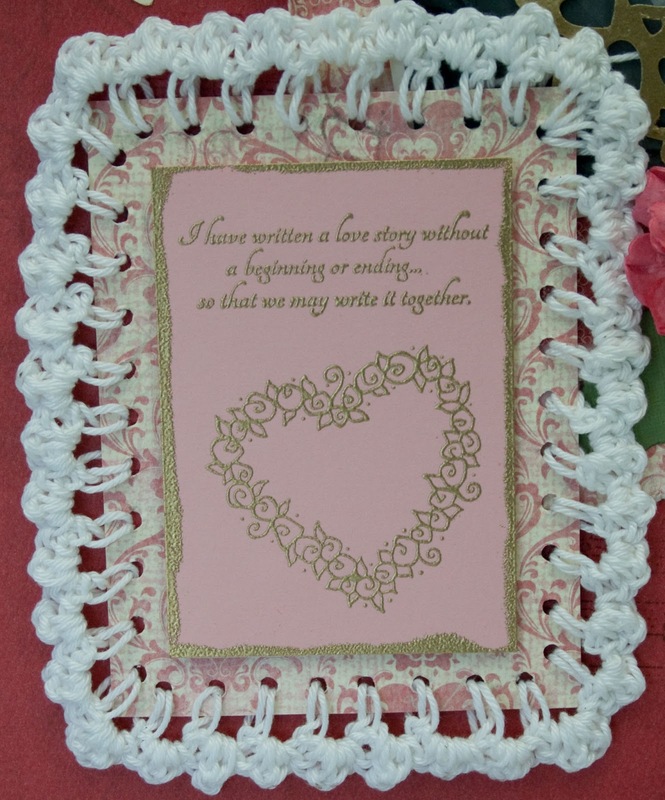 Then I took crocheting thread and made the lace border. It came out soooo cute! 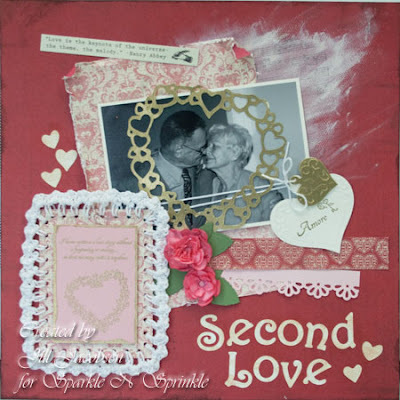 I was going to put it on a card, but then decided I wanted it on a scrapbook page, then it would last longer! lol My dad just recently got married and thought the photo would fit well with the sentiment. I had some roses sitting on my desk that I made last week and added them. The hearts are some retired dies from Spellbinders. 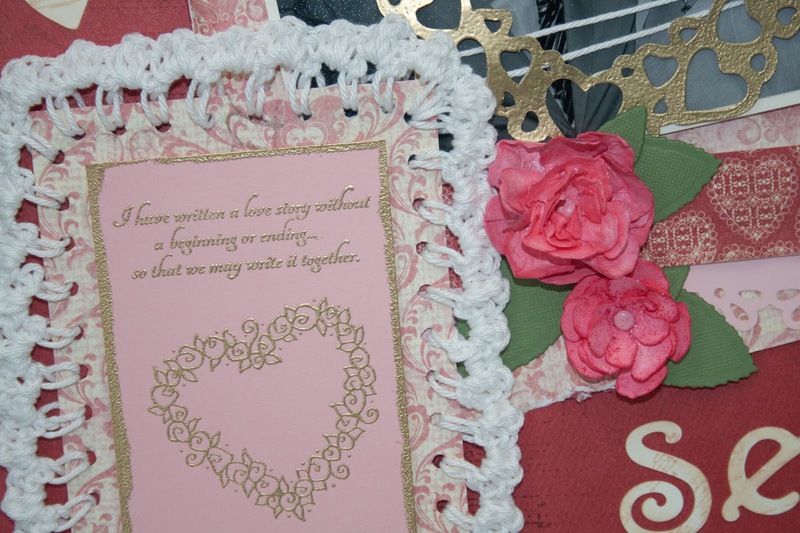 And the lacy heart around the picture was cut with my Pazzles as was the title. 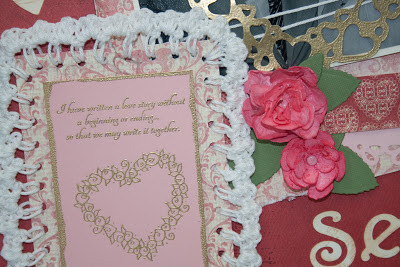 I embossed both the heart die and the lacy heart with the Gold Detail also. Before I put everything down on the base layer I rubbed some Gesso on the paper and stamped the Music Background stamp with Rich Cocoa ink. Here are a few more close ups! Aaaww! This is so pretty Jill. ... and look at you with the crochet hook! Very clever. Cute picture too! Great job. Wow, this is so pretty. 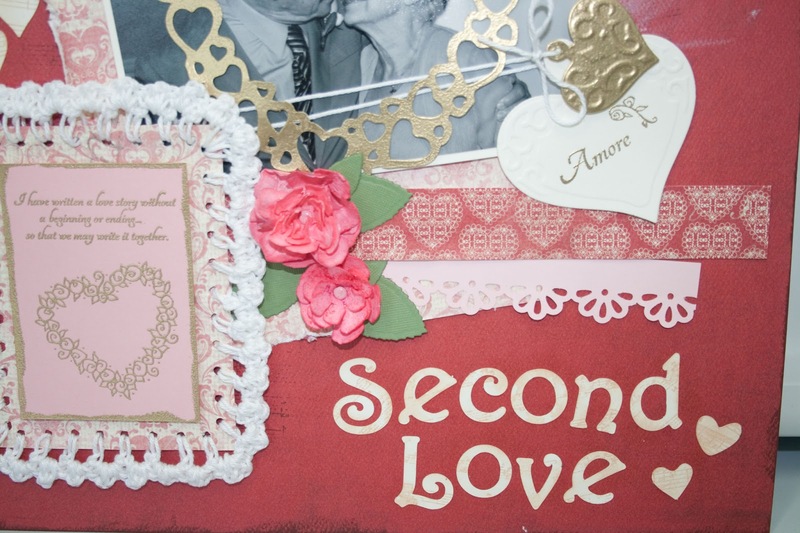 Love all the little details you added and that crocheted ATC card is so cool! Wonderful page of memories. I see you have other talents besides stamping! !